"Mr Jon Brooks was amazing to work with. He was very professional and always on top of everything. We are very happy and blessed to have worked with him and made an amazing friend! We highly recommend him to anyone who is looking to buy/sell." "There isn't just one word that can describe our experience with Jon Brooks, because he was indeed there every step of the way. During the process he was professional and yet easy going. Along the way he taught us tons of things about the local real estate market, but also showed us small details about what to look for in a home - and what to stay away from. He's young and energetic, but he has the experience of a real estate veteran. We couldn't imagine anyone who could have served us better, and we've been through this process a couple of times before. His attention to detail is second to none, and there aren't enough superlatives to describe him. He's simply the best!" "We highly recommend Jon after he sold our house recently. We met him at an open house in our neighborhood and instantly knew we wanted to list our house with Jon. He is very easy to talk to and very responsive to his client's needs. Jon gives up almost every weekend to have open houses in order to give the listing as much exposure as possible. I promise you will have a great experience with Jon. We feel he was worth every penny of his commission!" "I would recommend Jon to anybody looking for a realtor. First thing I heard about Jon is "he'll work hard for you". He did just that. He got us a steal of a deal on our house, he fought tooth and nail with the title company when they missed our closing date, and killed it on the negotiation table to get us our house at a price we could afford. He's very knowledgeable, personable, and has convictions. He won't sell you a house that isn't right and he also doesn't force houses on you that you don't want. He's available 24/7. In this market, you have to be aggressive and he was always ready to get same-day showings at a moment's notice. He'll even offer to randomly knock on doors if you have a neighborhood you want." "Jon was a great through the home buying process. He was responsive and always available. My wife and I also appreciated Jon's sound advice and honesty. We would not have gotten our home without Jon as our realtor." "I was very impressed with the level of service I received from Cyndi and Jon. I added my information to Realtor. Com and within the hour Cyndi called me back and within a few weeks I signed a contract to purchase my new home. Cyndi never made me feel rushed or pressured. Bring new to the home buying process both Cyndi and Jon walked me successfully through the process. I would highly recommend the Broojs team. I must add after the closing when I went home for the first time they placed a welcome home Mary sign in the yard, placed wine and champagne in the fridge and gave me hand painted wine glasses. This is an example of the service I received"
"Jon was amazing from the get-go. He was always available to set up showings and was easy to contact via text or email. Jon is honest and showed us houses in our desired areas within our budget and was real with us about whether or not he would buy a house. He wasn't just there to sell a house...he wanted to make sure it was your home. Jon definitely told you when he had hesitations about areas of the houses. He went through negotiations for us and made sure that we got what we deserved and made sure we weren't getting a bad deal. If you are looking for someone who will work hard for you from start to finish - this is your guy. " "Jon made our first home purchase a wonderful process. From the beginning Jon was an excellent communicator. He truly listened to what we wanted and offered great advice when we showed interest in a particular house. Jon consistently updated us on new listing, ensuring we stay current with the consistently changing housing market. Once we found a house we loved, Jon was able to set up an appointment to view it the same day. Once we were ready to make an offer, Jon walked us through every step of the process, ensuring that we were comfortable with everything. I would highly recommend Jon because he is honest, trustworthy, and very knowledgeable of the housing market. " "Jon is simply amazing. He helped with the purchase of my first home and put my mind at ease with the whole process. Jon is super knowledgeable about the area and got me the best deal I could imagine. He was always there to answer my questions. I would recommend Jon to anyone and would most certainly use Jon in the future. Thanks again!" "Our experience with Jon was great! From the first time we met we knew we wanted him to represent us through the buying process. He is quick in his response time and is an excellent negotiator. We found him to be extremely thorough and professional. I will be recommending him to all my friends! Thank you Jon. We love our new home." "As a newly married couple, my wife and I expected the process of buying our first home to be extremely stressful and complicated. We were referred to Jon through a friend and he did an excellent job. Jon was readily available and repeatedly took time out of his day to explain the ins and outs of the local market, the mortgage process, etc. Jon cares about his clients and I have no doubt that he will continue to be successful. When my wife and I go through this process again, we will most certainly use Jon. Highly recommended. " "Worked with us closely every step of the way. Always answered the phone when I had questions. Open houses every weekend and gave honest feedback good or bad on all showings"
"My wife and I highly enjoyed our experience using Jon Brooks as our realtor. We're happy to say we now have a realtor we can trust and a friend. We wouldn't hesitate to recommend Jon to our friends and family. Jon is going to be with you every step of the way. He knows the market like the back of his hand and can give you clear and concise guidance on the neighborhoods and comparables in the area. There was not a time when our phone calls to Jon went unanswered and our emails were always responded to within minutes. If you need a local real estate professional that is going to work for you and do everything possible for you, please contact Jon Brooks." "This was my second experience purchasing a home and was a world of difference. Jon is absolutely on his game and helped to negotiate savings in the thousands for closing and mortgage interest. He answers his phone at all hours and was the most polite. He was very knowledgeable about the entire process of the home buying experience and was very honest when discussing potential repairs and comparing neighborhoods. He will absolutely work with you to make you happy. We will recommend him to anyone we know who is looking to buy a home and will use him in the future if needed for ourselves." "Jon brooks helped us successfully purchase our dream home! He was patient, very flexible, and SUPER quick to respond to our questions. Jon is extremely personable, competent and confident. My husband and I felt extremely comfortable with him immediately. Jon gave great advice as far as our offer went- he was very knowledgeable about what would make our offer stand out in an extremely fast challenging market. He helped us view the place several times, get it inspected, get our mortgage details in order, put the offer together, anything you can imagine he helped us all along. Jon made this long and difficult process as anxiety- free as possible. I can’t recommend Jon enough to anyone looking to buy or sell a house!" "Jon Brooks was always willing to show us numerous houses until we found our home. He was able to answer all questions we had (and there were a lot of questions) during the buying process, and was quick to return missed phone calls, regardless of the time of day or night. Jon is very good at what he does and should be awarded Realtor of the Century (if such an award exists)." "Jon Brooks was able to help us find our dream home at the beaches in Jacksonville. If you are from the Jacksonville area, you can relate to the fact that the beaches have an extremely competitive real estate market with homes being sold within days of being put on the market. With that said, Jon was able to show us our dream home, put in our offer, and complete negotiations within a matter of a couple of days. He was also able to negotiate with the sellers to have them repair some major aspects of the home that we did not think they would repair. Jon was very responsive to our questions and very informative throughout the whole home buying process (from initial negotiations, to inspection and repairs, to closing). Since we were first time home buyers, we had lots of questions throughout the process, and Jon was able to answer all of our questions within hours of asking. I would recommend Jon Brooks to anyone looking for a home. You will not be disappointed in his persistence, attention to detail, and responsiveness." "Jon is AWESOME!! He was very flexible with my schedule and promptly answered to my concerns and kept me in the loop with the entire process of home selection through closing. Based on my financing needs, Jon was also able to point me to a great lender and insurance agent which made the entire process run very smooth. I have passed his name on to friends that are also interested in buying a new home." "I cannot give enough thanks and praise in the attention to detail with the purchase of our home. John was with me every step of the way from house showings to closing. John was very patient in answering all my questions and if he did not know the answer he was on the phone getting the answer. I felt like I was with a good friend, and with that being said I know I can rely on him being there long after the sale. If you are looking for an awesome buying experience please don't hesitate in calling him it will be well worth your time and effort." "We met Jon by happenstance at one of his open houses, and since we were in the market to buy a home, we decided to give him a shot. We’re very glad we did, because I truly can’t say enough about our experience with him as a realtor, and as a person. Being new to the area, we pretty much relied on him for unfiltered, and accurate information on neighborhoods. He helped us decide on our beautiful home in the San Marco area, and made the process extremely smooth. I’ve used other realtors in the past, and have gotten the feeling that they weren’t looking out for our best interest. This was absolutely NOT the case with Jon. He was available at any point of the process, day/night, and answered every stupid question I had… In the end, he fought for us and helped secure a great deal on our house. I’m most certainly happy to call him our realtor, and now a friend." "I would like to take this opportunity to express my great gratitude to Jon Brooks, an awesome, outgoing and friendly man, during the home buying process from signing the contract to closing it was very stressful and sometimes frustration, Jon was always there to answer my questions promptly, he went above and beyond to the ultimate as I was completely illiterate in the home buying process.I absolutely recommend him for anyone is looking to buy a house. Thank you very much Jon, I wish you and your future family (he's currently engaged) all the best." "Jon provided us great information that helped with our first home buying experience. I would strongly recommend him as a realtor as he always makes himself available to help with any questions! We loved having someone we could reach out to at any time." "Known Jon for nearly 5 years and had a chance to work with him for some of that time. Through my experience working with him, I found Jon to be one of the most trustworthy and loyal people I have ever known. Most importantly Jon maintains a strong sense of integrity that makes him an extremely reliable source. He gives a 100% in everything he does and takes a great deal of pride in his work. I would never expect Jon to do anything other than what is in the best interest of his customers and clients. He is extremely knowledgeable on real estate, and I would strongly recommend Jon." "Jon provided several properties to consider buying in Naples, Florida area. Although he located in a Jacksonville, Flordia, he was very knowledgeable about real estate markets and process in Florida. Jon was extremely prompt in responding to all my phone/texts messages. I highly recommend Jon you are considering buying a home in Florida." "Jon Brooks is the best! He is knowledgeable in every aspect of real estate dealings and his kindness to his clients is amazing. You could not have better support or guidance than from this gentleman." "Jon is the best real estate agent I have ever worked with. From day one, he was available and ready to show properties. He is very knowledgable and if he doesn't know the answer he knows who to ask. He helped me purchase a short sale, which is a difficult and timely process, and he was diligent, persistent and focused through the whole process. I would highly recommend Jon!" "Jon helped me rent out my current house and buy a new house in record time. The process was effortless having Jon as my realtor. He is professional, responsive, knowledgeable of the market, and a great negotiator! I don't know anyone else who would answer calls and questions at all hours of the day and night. He goes above and beyond as a realtor and I would highly recommend him to anyone looking to buy, sell, or rent their home." "Jon helped us to understand the processes of selling our home and buying a new home. He was patient in explaining the terminology and his advice regarding negotiation techniques were spot on. His passion for real estate is infectious!" "Jon helped me get started in the process of buying my first home. He is very knowledgeable about the home buying process and has been very patient answering many of my questions along the way. He has made himself accessible to me any time I've needed and truly cares about his clients having a great home buying experience!" "It was a pleasure working with Jon! We re-located to JAX from out of state, and Jon was so helpful in finding us the perfect home. He is prompt, reliable, and someone you can trust. He checked out homes in advance of us and sent us videos/photos to view from out of state--which was so helpful! He listened well to what we were looking for and was always re-assuring and kind. He is knowledgeable about the process, and we felt confident working with him to buy our first home. We hope to work with Jon again in the future! " "Jon did a fantastic job guiding us through the buying process. He recommended several homes that met what we were looking for, and was eager to show us homes that we had found ourselves. Jon is very responsive, and the few times he did not answer the phone, we received a call back within ten minutes of leaving a message. After we found the home we were ready to make an offer on, Jon instructed us very well through the negotiation process, and made good recommendations on what questions to ask. We were very pleased with Jon's work ethic and overall attitude towards his job. We never felt pressured or like we were putting him out when asking to see several homes before we made a decision. Overall Jon was more than just someone to show us a home, he was a great consultant through the entire process. " "Jon was AWESOME; he was very pleasant as well as down to earth. Knowledgeable and professional he sold my home above appraisal in just 12 hour after we listed. He kept us informed and worked in OUR best interest. I would HIGHLY recommend him to anyone that want a true people person that will show you the money!" "We meet Jon by chance while walking in Fernandina Beach. My husband and I immediately felt he was the perfect realtor for us. Jon is extremely knowledgeable of the market and home values. When showing us houses he was always upfront and we felt he was very honest. Being from out of state this was reassuring to know he was looking out for us and not just trying to sell a house. He always got us into the properties on the same day we asked to see them. This was extremely important because of the market in our price range. In fact the day our home came on the market we called Jon and he was able to get us in that afternoon and we made an offer right then. We couldn't have found a better realtor, Jon has helped us through every step of buying our home and he is someone we now think of as our friend. I would definitely recommend him to anyone and everyone. " "I contacted Jonathan about a rental property in Jacksonville, Florida. I needed to find a suitable place to live by December. I wanted to move to St. Marys, GA but the realtors in St. Marys that I dealt with were unresponsive and rude. After talking to Jon, I decided to move to Jacksonville instead. Jon is diligently professional, courteous, and very responsive and honest. His communication skills, knowledge about the area, and his genuine understanding of my needs helped to make renting the property I wanted a positive experience. He was so efficient that all the paperwork was completed in one day. Anytime I had to call or email him for information or assurance, he responded to my concerns immediately. In the past, I would never recommend a realtor to anyone who needed one and I've lived all over the country. However, after working with Jon, I will highly recommend him to anyone moving to Florida. He is incredibly knowledgeable, easy to talk to, and very patient. You can trust him to help you find the home or rental of your dreams. It has been a pleasure working with him and I hope to work with him again when I get ready to buy a house in the near future. Many thanks Jon, you're the best." "Jon Brooks is the best! He truly deserves 5 star ratings! My experience with Jon as My go to real estate agent is always superb. He did not miss a beat and his local knowledge is key to finding your dream home." "Jonathan was very helpful through the entire process. His professionalism was impeccable! He was very prompt in his responses to questions and accomodating to scheduling needs for showings. I highly recommend him for any home leasing, sales, or purchasing needs."  "The Brooks Group and Cyndi Perron were amazing to work with. Cyndi was extremely helpful throughout the entire house buying process. Being from out of state, we needed to do our house hunting during a 3-day trip to Jacksonville! Cyndi quickly responded to our email requesting information on a property. We now know that Cyndi’s immediate response was a true blessing. From the start, Cyndi was professional, organized, and efficient. She worked diligently to line up numerous showings and worked very hard on making our house hunting trip a success. We were indeed successful and found the perfect house. During the purchase of the home, Cyndi was on top of everything!! She kept track of all the important details and informed us of all deadlines. Cyndi was always promptly available by phone and email with great suggestions and comments. She made sure that all of our questions and concerns were answered in a timely manner. Cyndi went above and beyond what is expected of a realtor, and we are extremely grateful for everything she has done for us. The long distance house buying experience was much easier thanks to Cyndi. She was a pleasure to work with. We would highly recommend the Brooks Group and Cyndi Perron for anyone looking to buy or sale a home. Call Cyndi - you will be amazed!"